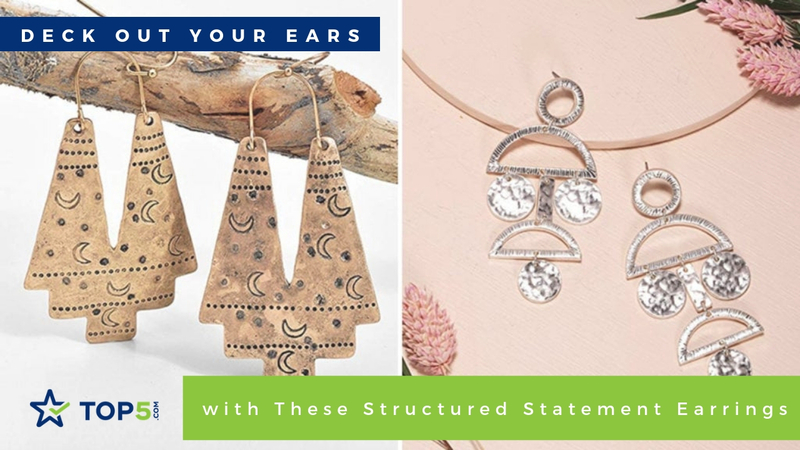 If you’re all about the latest trends, then larger-than-life structured statement earrings are what it’s all about right now. Magazines and runways have been filled with models adorned with these ear jewels, and Pinterest is overrun with delightful, sizable pieces of ear bling. 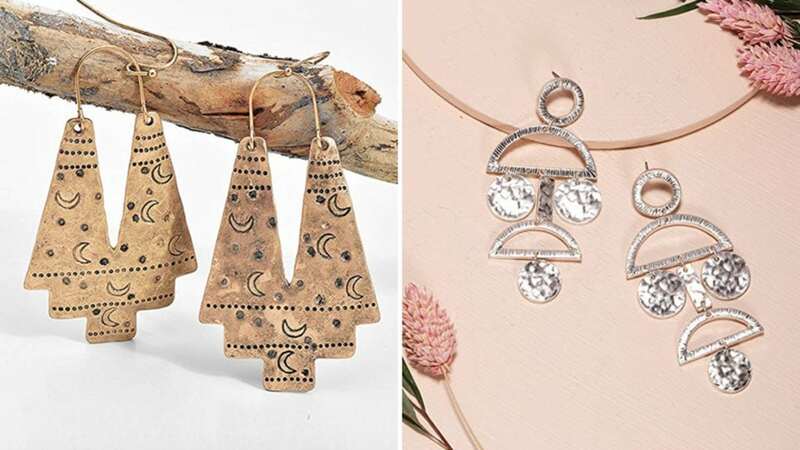 Instagram feeds, too, are flowing with flat lays of beautifully styled, dangly earrings. Forget cute, dainty studs and delicate little designs; think big, think bold and get yourself some large, structured statement earrings. Oversized earrings are fun and daring and can make an outfit sing. Their size and appearance can dress up any everyday, drab ensemble and bling out your ears. This season it’s all about abstract shapes, bent metals and layers. If you are thinking about investing in a new pair of earrings that are then larger than life, oversized earrings are the way to go. By adding a pair of structured statement earrings to a look, you will completely change the vibe of an outfit. The structured statement earrings trend is for the fierce, stylish gal who’s not afraid to stand out in the crowd. And there is most definitely not a shortage of choice of colossal-sized earrings available out there. Embrace the structured statement earrings trend; you won’t regret it. Not only will you look and feel stylish, but you’ll also feel badass. 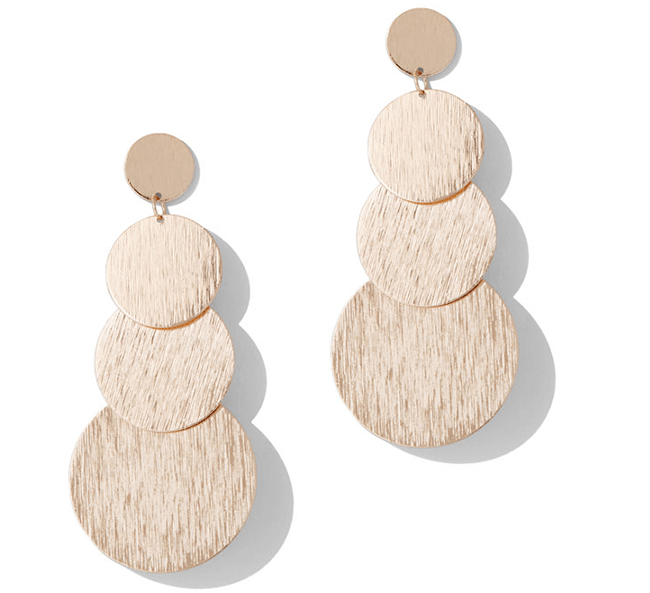 From hammered metal to geometric and textured styles, structured statement earrings are a must-buy this season. 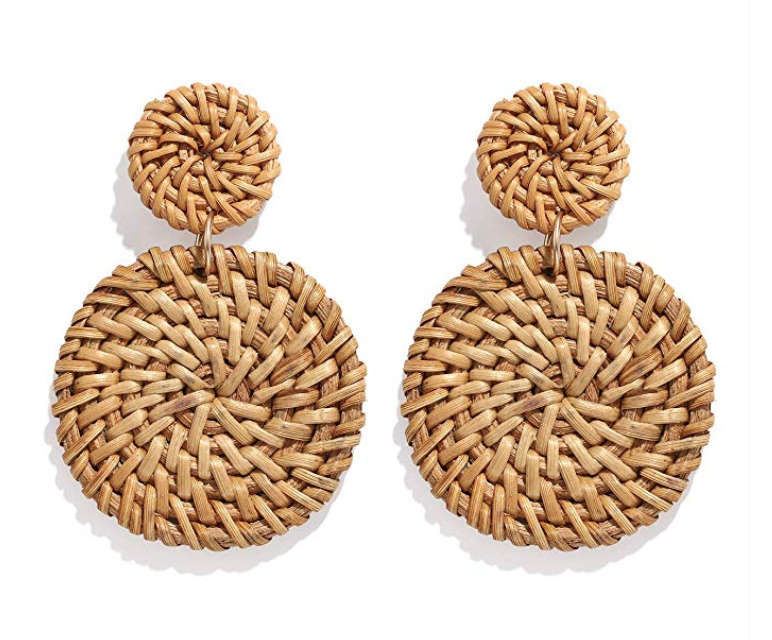 These rattan earrings are hot on-trend at the moment and will certainly make a statement. The weave design and hoop drop will add a beautiful element to any outfit. These vegan leather leaf earrings are a perfect gift for those living a plant-based lifestyle. 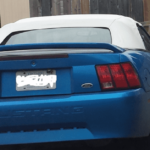 Available in a varity of colors theres a pair to suite everyone. 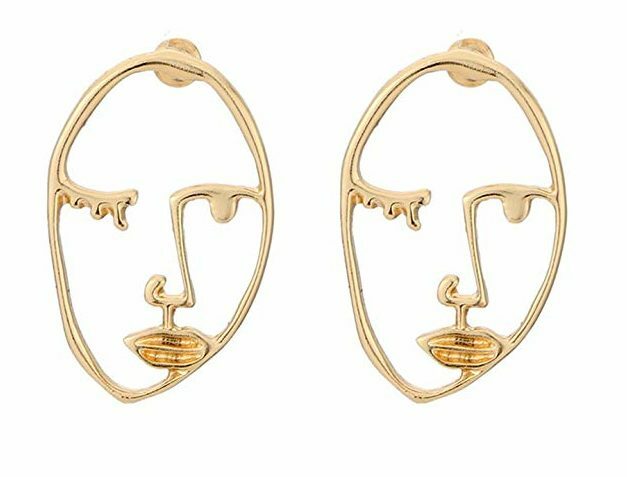 Wow, your friends with these handcrafted and unique gold face earrings. Show your creative side and add some personality to any outfit with these statement earrings. Wear these gold and seashell drop earring with pride as they gently swing from your ears catching the attention of passers-by. They are bold, they are big and they are fabulous. 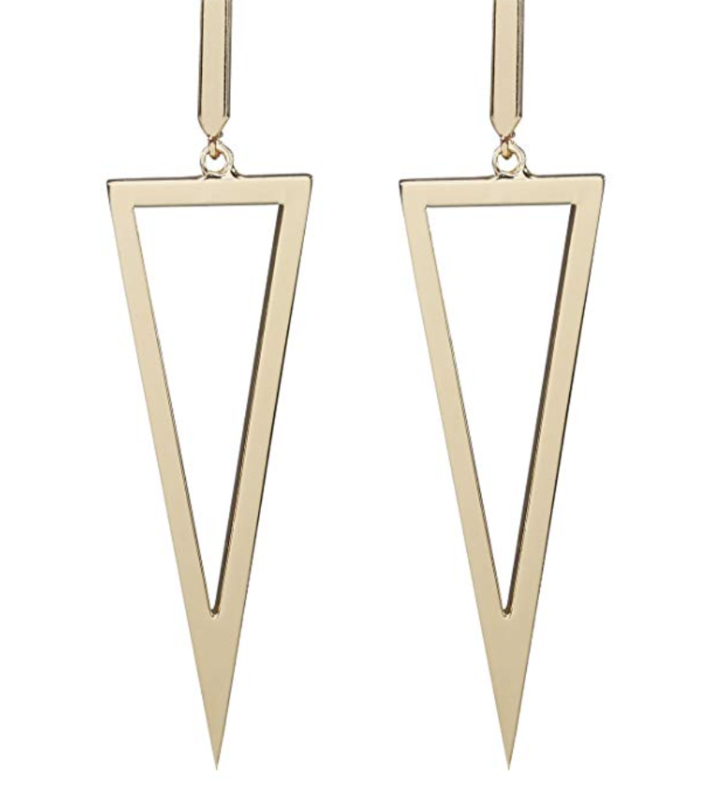 Up your earring game with this sharp and stylish triangle drop earrings. Turn heads and feel confident with these dramatic fashion accessory. 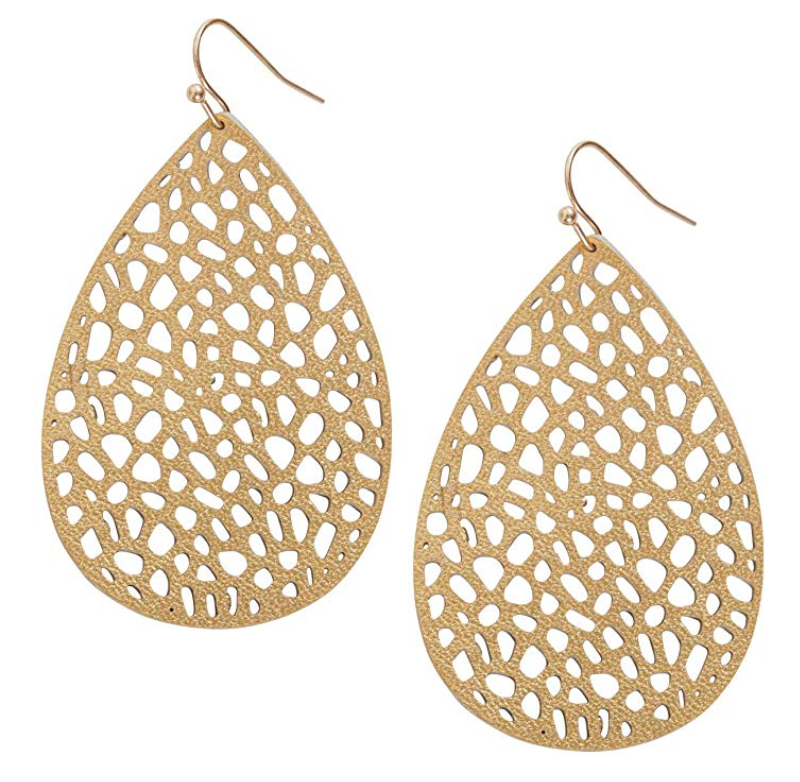 This pair of large earrings uses a combination of very simple shapes to great effect to really stand out. They are funky and stylish at the same time and would make a great addition to almost any outfit. 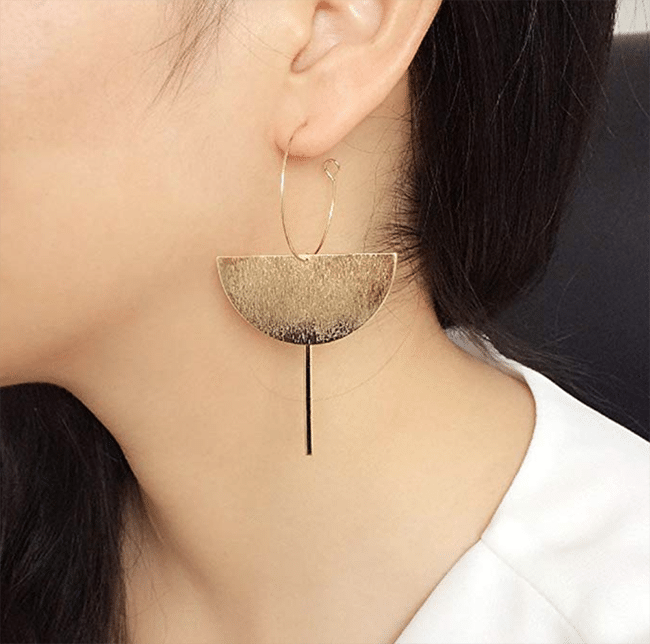 Due to the sophisticated design, this pair of earrings can be worn during the day at work in the office or with evening wear for a formal event. 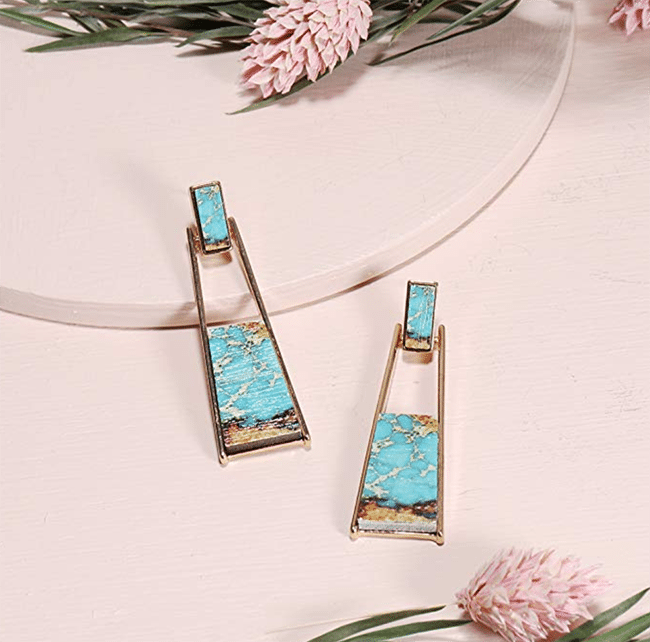 Whatever the outfit, whether it be bright and bold or simple and low-key, it will benefit from adding these wood and marble effect earrings to add a touch of color and style. These earrings are super cute, and with their use of a cool aqua shade of blue, they make it so easy to dress up your lobes. 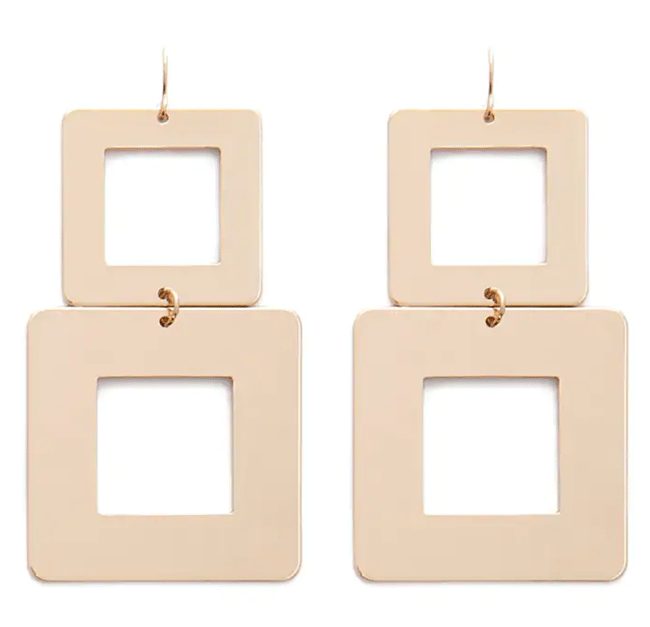 As this pair of structured statement earrings come packaged in a lovely pink jewelry box, they are perfect to buy as a gift for family or friends. The main use of a large pair of earrings is to complement your choice of outfit, and this design, in particular, will be perfect for that. The progression in size of the circle motif will help draw the eye down towards your chosen outfit. This pair of high-polished, mirror-finished, cutout geometric structured statement earrings will not only make you feel shiny and special when wearing them but you will be bang on trend. Rock up to a party wearing these bad boys and you will receive many compliments. This cool set of earrings screams boho-chic with a series of different patterns to bring some texture to your accessories. Try pairing them with a simple dress and a bright, bold lipstick for maximum effect. 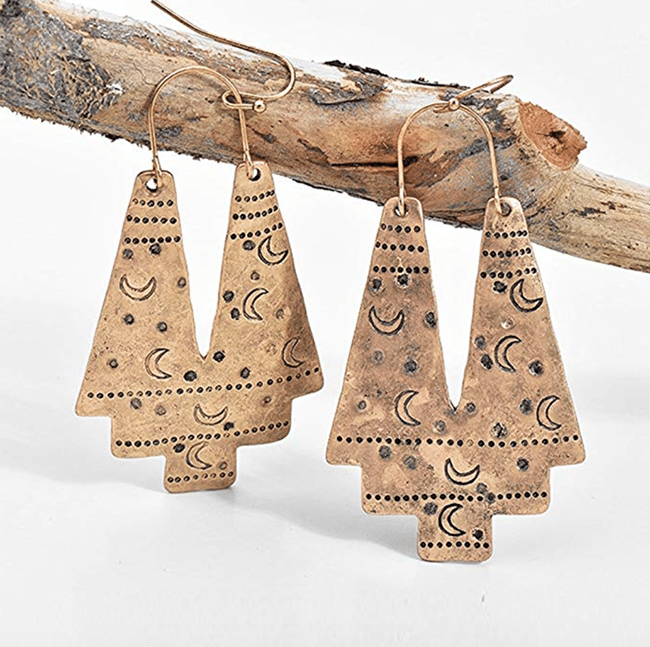 With their vintage retro moon pattern, they’re a perfect accessory for a moon lover. 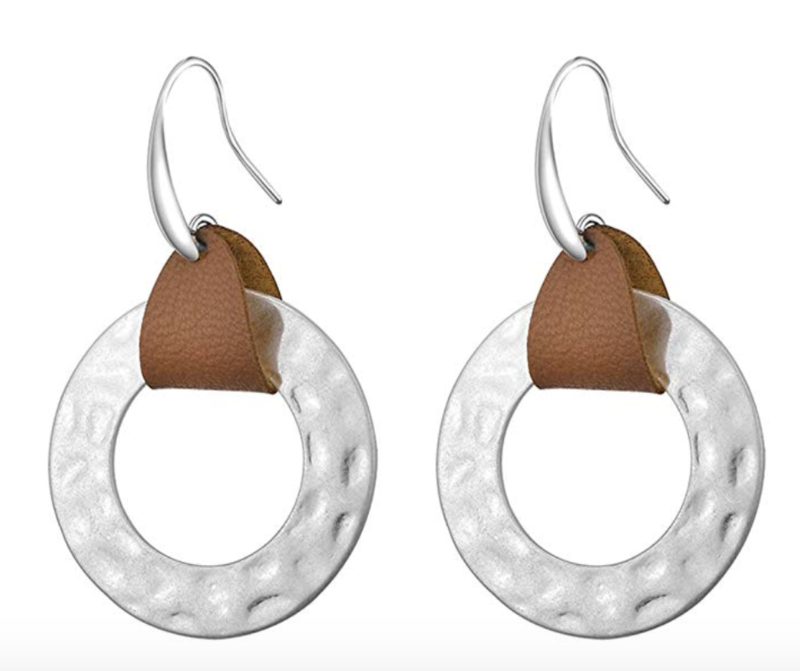 Show your quirky and creative side by hanging this pair of circle link drop earrings from your ears. They are big, they are bold and they are fun! 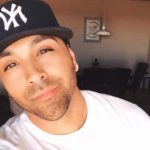 Wear them with anything and look fresh with ears that are so on point they will be Instagram worthy. This pair of pretty, hammered metal statement earrings have an allergy-free titanium post back and is matte silver that’s rhodium plated. 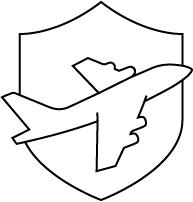 They are also nickel- and lead-free so can be worn by all. They’re a contemporary jewelry style that is eye-catching and will really tie an outfit together. 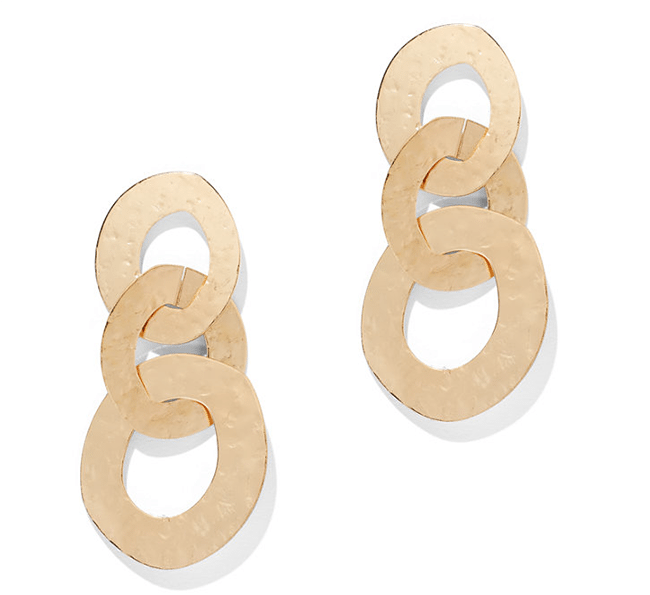 This pair of earrings uses a bold, strong shape to echo the aesthetic style of Sixties fashion. The sleek graduated square design adds a bit of nostalgia to any outfit. Look cool wearing these simple earrings and ready to get the party started! These high-polish architecturally shaped earrings feature a double-hoop outline design that is simple yet effective. 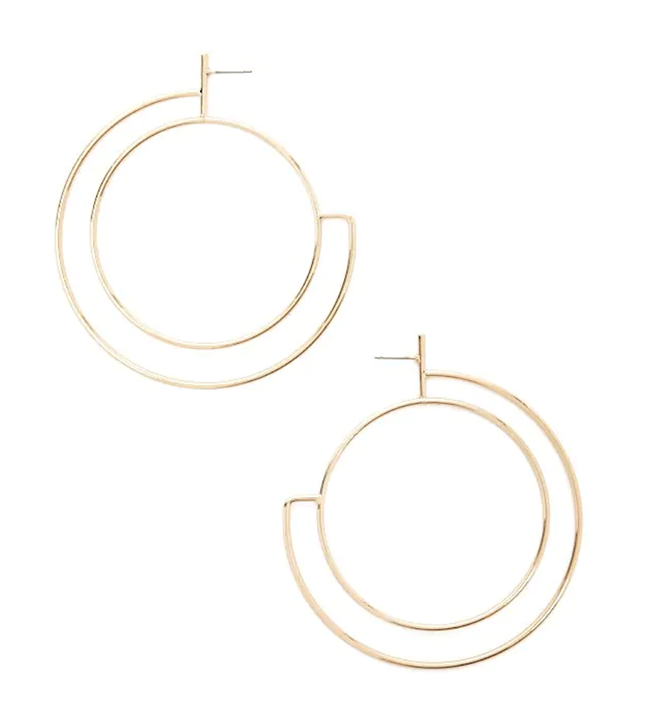 A twist on the classic hoop style, these structured earrings are a must-have staple for any closet. 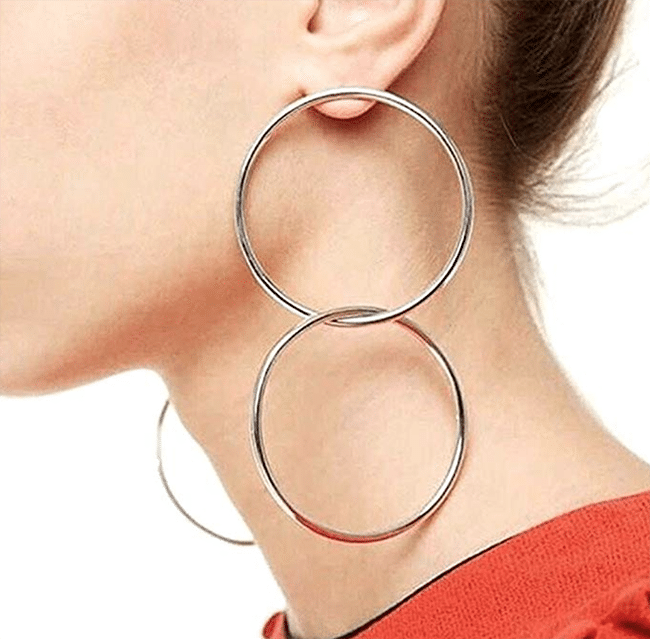 Where would large earrings be without the classic hoop design? 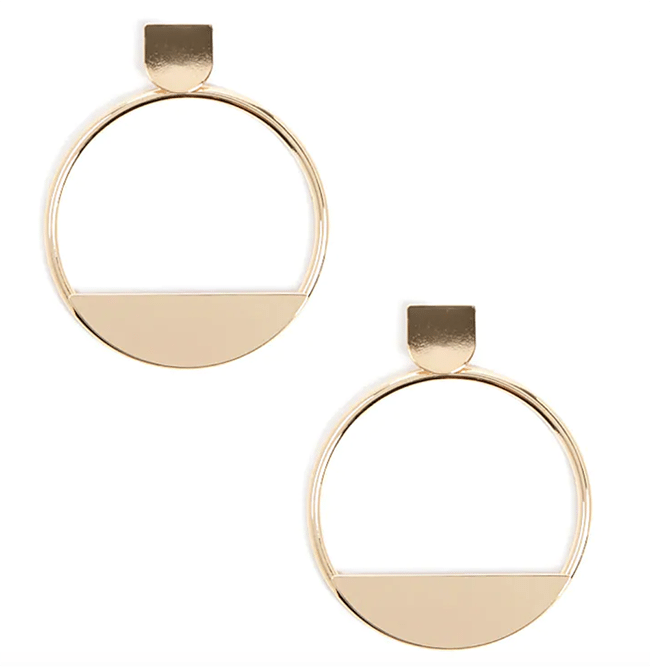 The oversized double hoops used here are the perfect pair to bring a classic style to your outfit. 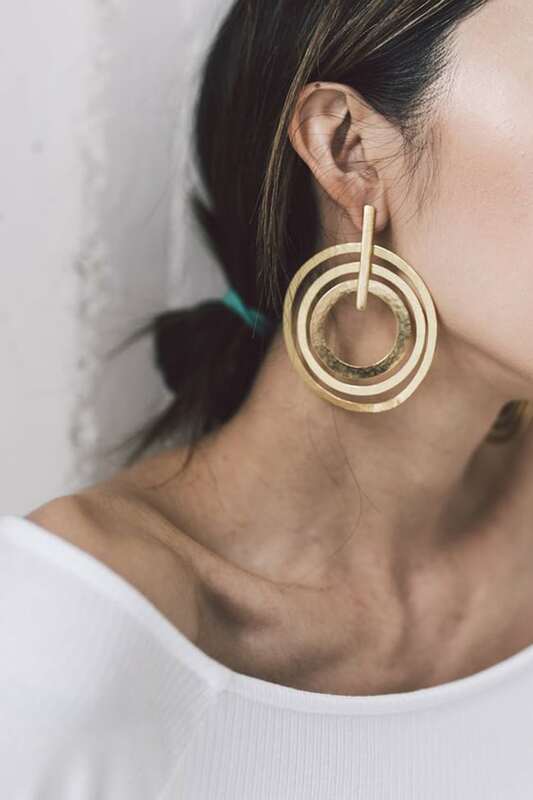 Let’s face it; hoop earrings are a style that has been around forever, and they aren’t going away anytime soon. You can’t go wrong with a good pair of hoops! 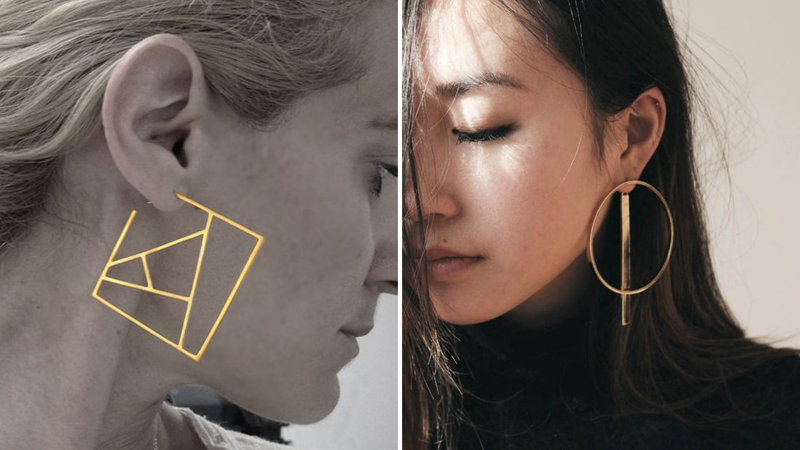 The key to the structured statement earring trend is just to forget about all the rules and go for extra AF styles. Be fearless and wear structured statement earrings with conviction. 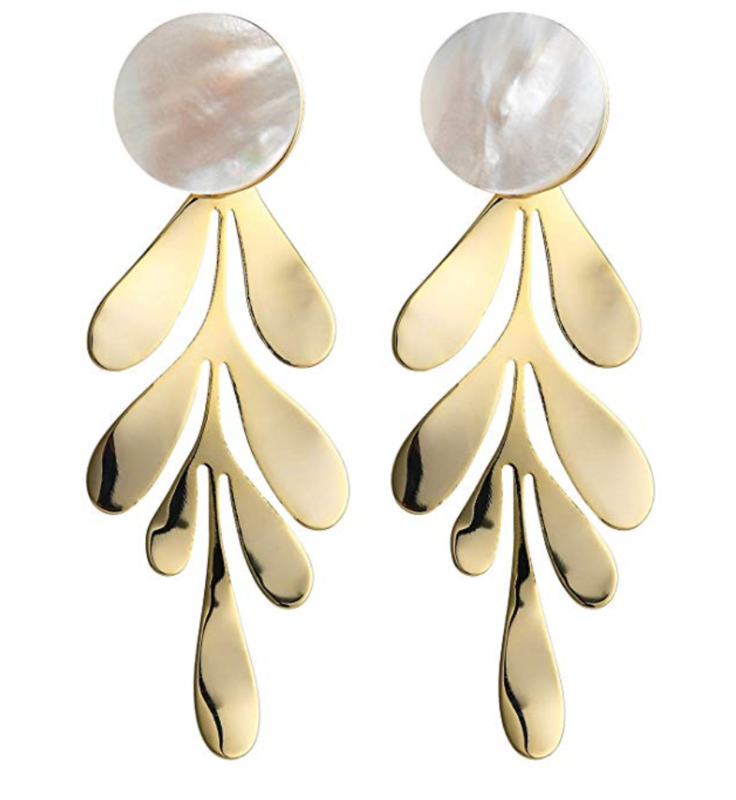 Statement earrings are a versatile accessory that can be dressed up or down. Grab those big, larger-than-life earrings and let them hang from your lobes with pride. If you’re confident enough, go big or go home and let your earrings do the talking.